I’m halfway to my read-50-books-this-year goal, and although I have enjoyed many of the 25 books I have read thus far, I don’t have a favorite. 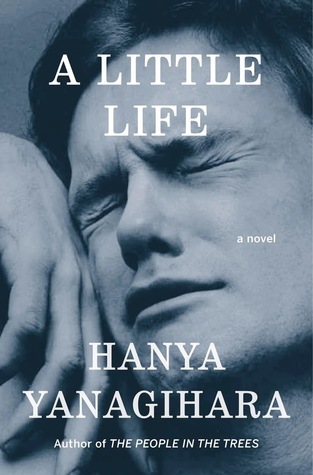 I liked Yanagihara’s A Little Life, although I felt it was really (814 pages) long and bogged down in despair. 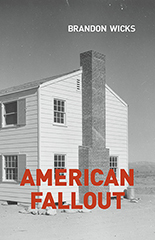 I enjoyed the past and present narratives that comprise Wicks’ American Fallout, although I enjoyed the parents’ story more than the son (who served as the narrator). 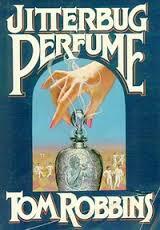 Robbins’ Jitterbug Perfume made interesting use of magical realism but too many parts dragged. 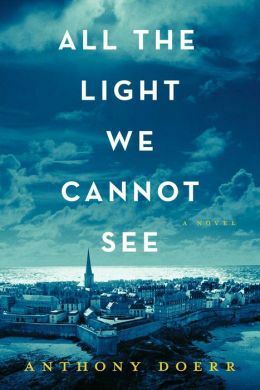 I also really enjoyed last year’s Pulitzer winner, Doerr’s All the Light We Cannot See, but the ending felt too tidy. 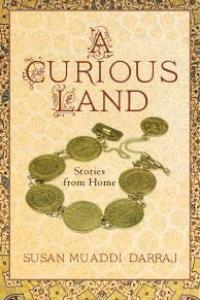 I also really enjoyed Darraj’s A Curious Land: Stories from Home, in part because the stories offered a rare, insightful glimpse into a Palestinian culture I know so little about—I also enjoyed that the stories unfolded in very organic, unforced (i.e. non-formulaic) ways. 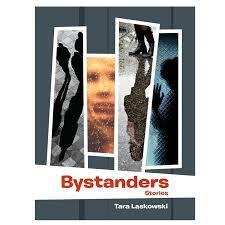 For a number of reasons, I’ll choose to delve deeper into my reaction to Tara Laskowski’s Bystanders story collection. The first two stories in the collection felt like they are missing something; the rest, however, feature a lot of wounded characters working through their issues. These characters felt genuine, and they inhabit natural-feeling stories, ones that don’t feel forced into a particular structure—nor resolved in a neat, tidy way. That’s meant as a compliment. I enjoy stories that mirror real-life challenges. Of these stories, “Half the Distance to the Goal Line” is one of the standouts. This story—about two couples who have been friends since high school, simmers with bitterness. Its real strength —which unfolds during a summer barbecue—lies in the telling, namely in how the author marshals the use of the plural point of view, structure, present tense, and select details to effectively characterize these fully-developed people. Effective use of plural narrator. Other than Faulkner’s “A Rose for Emily,” I can’t think of a story that uses a plural third person narrator. I also can’t think of very many reasons why the story benefits from using one; however, this story, given its interest in providing a collective opinion on its characters and events, makes effective use of this plural point of view. (The fact that the narrator is gendered male is interesting, though I’m not sure how significant that choice is.) This choice allows the narrator to align with Diane as well as provide enough distance to evaluate what she says and thinks. The plural angle suggests that this judgment is shared by several people, thus strengthening what the story has to say. Effective use of structure. Normally, a story works better when it opens in a particular moment, in action—this plugs the reader right into what is at stake. This story, however, opens with the backstory, which then effectively sets up the present action. The details here, in their general way, allow us to form opinions of the four principal characters before we see them interact during this BBQ. This then tests our first impressions—which aligns with a theme of the story. The author also interrupts the narrative present near the end of the story in order to comment on what is happening. This allows for one of the story’s messages to be conveyed in a succinct but not heavy-handed way—it feels organic to the voice and flow of the piece. This is tough to pull off but a joy to read when a writer does it well. Effective use of present tense. Most stories use the past tense. This choice suggests that what is being conveyed in the story has been reflected upon and processed. In contrast, the lesser-used present tense tends to offer a sense of immediacy. This immediacy, however, can wear on a reader—the narration tends to plod along. Here, the present tense choice provides an immediacy that works for this story—we get to experience what Diane as she does. As someone who has not really been active in her life choices, she might lack a certain depth; therefore, we need to be with her in the moment. You get the sense that these events might not matter down the road, but they do now—which explains why the present tense is the best choice to tell this story. Effective use of carefully-selected details. Often, less is more, and this story chooses characterizing details so economically that each one is hyper important. Sure, the engaging opening paragraph about the Mellencamp “Jack and Diane” song provides a nice hook; but once the story kicks in we learn who these characters are now: “The 100 percent cashmere sweater vest that Bobby has deliberately worn for this evening is completely lost on Jack, who thinks a designer short is one that doesn’t have a beer logo on the front” (89). This shows that Bobby is over-dressed in an expensive, flashy sweater to a BBQ while Jack is much more modest (as well as being judgmental of people who are trying too hard to impress others). All of this in one sentence. This is just one example where the story picks its moments to convey these details and provides a specific picture with each one. A writer has an infinite amount of possible choices to tell a story—this particular story (within an excellent collection) demonstrates how making the right choices for each particular component makes the finished product look effortless, i.e. honest. If you’re looking to read a story collection that takes an honest look at how people live and breathe today, check out Laskowski’s Bystander. This entry was posted on June 7, 2016, 3:23 pm and is filed under Books 2016, Brad. You can follow any responses to this entry through RSS 2.0. You can leave a response, or trackback from your own site.